This is my go-to foundation for nights out, hence why I have it a little darker. My actual shade in MAC is NC20 without fake tan. I love the finish of this foundation, it’s a demi matte and just leaves my skin looking flawless. The longevity is also a major plus, one nights out I wear my makeup for well over 6 hours and when I come home I find my foundation still looks as good as when I put it on when I wear this. It’s a must- have in my opinion. This is my OG favourite foundation. I bought this because of Nicole Guerriero and never looked back. I think I have gone through about 10+ bottles since I started wearing it. 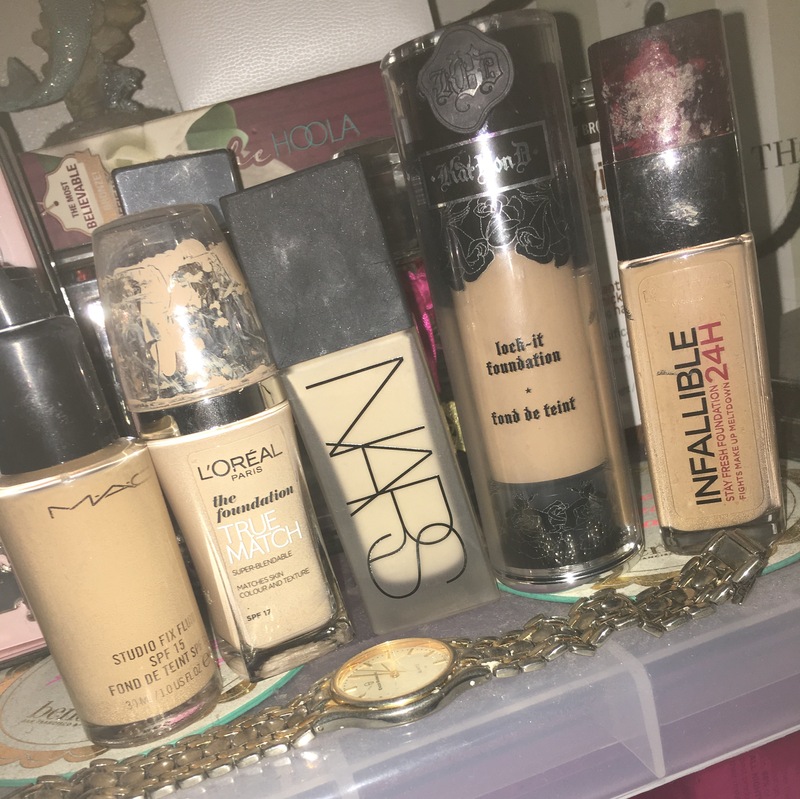 It’s my everyday foundation and depending on how pale or tanned I am I use the shades above. This matte finish is what attracts me to this simply because I have normal skin and I’m not a huge fan of dewyiness. It’s so affordable too, selling at €14.99 and lasts a long time. I use this foundation when I am a pale biotch. I love the yellow undertone it matches me perfectly. I also love the finish, it give a really nice glow to my skin while still being matte when I set it with a powder. A little goes such a long way. My skin always looks amazing when I wear this. And I’m nearly out of mine so I’m kind of sad because I can’t get another one for a few weeks. I only got this foundation about two weeks ago and have been wearing it ever since. I use it for when I’m once again tanned (because I’m rarely pale) and I am in love with the finish of it, it looks like my skin has been photoshopped. 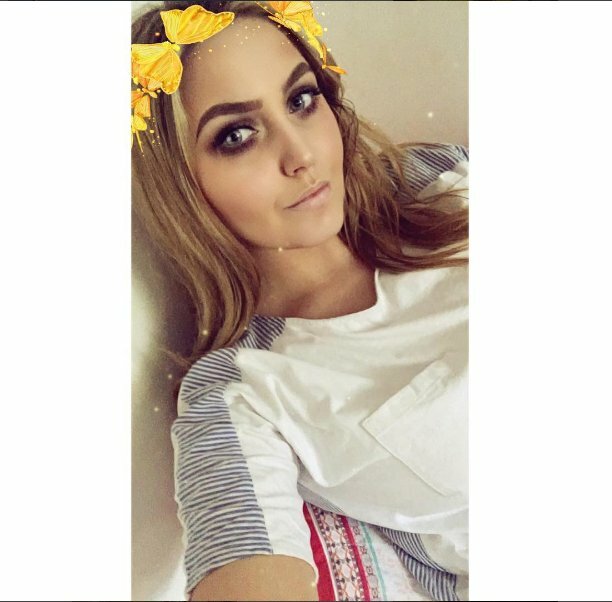 For such a heavy duty foundation I can’t feel it on my skin which is a major plus for me. In the two weeks since I’ve started wearing it I get endless compliments. I kind of wish I didn’t love it as much as I do though simply because it’s so hard to get to Ireland from America, like IMPOSSIBLE. This foundation I discovered when it first came out, I knew I would love it simply because I think L’oreal offer the best foundations at the drugstore. I love the colour selection and everything about this product. It leaves me looking flawless, it’s long-lasting, doesn’t smell, has a great range of shades and is cheap. What more could you want in a foundation? If I recommend any of these for you to try out please try this one you will not regret it I promise. So as you can tell I love my full coverage, but I also don’t like the cakiness that can come with having a full coverage foundation. That is why all the ones listed above are my top favourites, they’re full coverage without the cakey feel. Let me know below which foundation is your favourite. I’m always open to trying new ones. Also don’t forget to follow my blog and follow me on social media so we can be friends. All links can be found at the top of my blog. I use the L’Oreal True Match too and I absolutely love it! Isn’t it amazing? Such a good drugstore foundation! Exactly, it’s so easy to go out and re-purchase and it’s the exact same as some that are way too expensive!